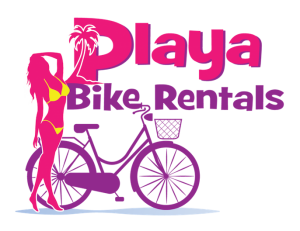 We are Playa Bike Rentals. 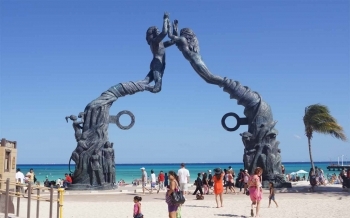 The Bike Rental Experts In Playa Del Carmen and the Riviera Maya. We are a a delivery business and will deliver bikes, beach chairs and umbrellas to your condo or hotel in Playa Del Carmen and all over the Riviera Maya. Since 2012 we have provided quality beach cruiser and mountain bike delivery all over Playa and recently we have expanded to Porto Morelos, Puerto Aventuras, Paamul, and Tulum. There are a lot more hotels, hostels, tour agencies and small shops offering to rent bikes in Playa Del Carmen now than there was when we started in 2012. Most of them are focused on daily rentals and can be convenient if you only want a bike for a day or a few hours. The problem is that most do not have Ulocks, rarely keep up on the maintenance of the bikes very well and usually do not have bikes for taller riders. Since I am tall and am familiar with all the bike models available locally I have become an expert on bike rentals in Playa Del Carmen for tall riders. What makes us different is that we are focused on weekly rentals and delivering quality, well maintained bikes to your condo or hotel at the lowest price. We do also offer daily rentals of bikes by appointment and have a convenient, central location and lock up area with a key drop. The most important lesson we have learned over the years renting bikes here in Playa is you absolutely have to have a Ulock and use it all the time. The thieves will cut your cable and chain locks, in broad daylight, even with police around and ride away on your bike in a hot minute. All our rentals come with Ulocks and we have discontinued cable locks. The best way I have found to use a Ulock with the typical bike racks found around the city is to place the back wheel into the rack and lock around the frame like in this photo. I hope you enjoy riding bikes in the Riviera Maya as much as I do and look forward to answering any questions you might have.